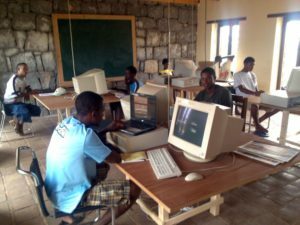 On Monday the first professional computer training started at the Child and youth center which is financed by the capeverdean government. 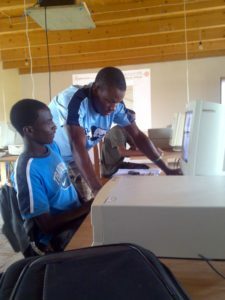 Eight youths receive training every day in computer science and technical English. Due to the catastrophically bad training situation in this area in Tarrafal the youths have great prospects after they have finished the training which is why Delta Cultura has always been looking for financing for years. The computer specialists are Christian Fu Müller and Jennifer J. Smith who have been living here for over two years in Tarrafal and working for Delta Cultura. For the time of the training the changed the classroom in the centro to a computer room. The idea is even more that the youths work on own projects and thus develop self-sufficiency. The omission of the regular ways of teaching with the teacher at the board and the students writing in their notebooks is a challenge but it will surely bear fruits. A little disappointing was the selection of the trainees. 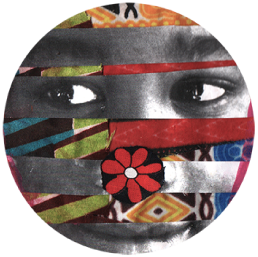 Despite large efforts we were not able to reach the desired gender balance. Only one girl who met the requirements (little computer science and English knowledge) could be found. The hope remains that the young people will train more girls and women after their training in the future. This entry was posted in Uncategorized, What we do and tagged child- and youth center, Computer training, computers, ICT, job training, professional training. Bookmark the permalink.